Some drummers are admired for their aggressive and intense styles of play. Keith Moon is one particular person who had been beloved in the past for his powerful drum work. 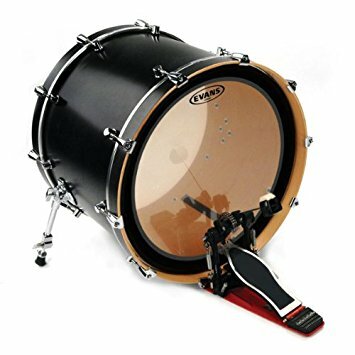 Many other drummers are popular for being very technical and capable of working with many sounds. Neil Peart is one such person who has been highlighted as a powerful technical drummer. Others are admired for having a keen ability to really find a great groove. The Roots’ Questlove is noted for being a great groove-oriented drummer while Stevie Wonder has produced great grooves onto many of his own songs. Some people are especially admired for their ability to keep up with complex tunes. Yes’ Alan White, Phil Collins, Terry Bozzio, Carter Beauford, Lars Ulrich and Chicago’s Danny Seraphine have especially been beloved for how well they can keep up with many bets. There are a number of impressive drum songs that have been released over the years. Here are a few of the most memorable songs in the history of popular music. Pete Townshend might have been a great guitarist and songwriter for the Who but many fans say drummer Keith Moon was the true force of the band. This song of theirs illustrates the power of Moon’s drums throughout the entire track as it creates a forceful beat that mixes well with Townshend’s lyrics of rebellion. It offers a great look into just how impressive the Who was in their heyday. Stewart Copeland was a truly memorable drummer for the Police who had a flair for keeping a great reggae-inspired beat to go along with the punk and new wave sounds of the band. This great track has a powerful upbeat drum sound from Copeland that blends in perfectly with Sting’s vocals and Andy Summers’ guitar. Everyone in Van Halen was noted for being a great virtuoso in the early 1980s. This song from the band puts Alex Van Halen in the forefront. He used a double bass intro in this song to create a powerful sound and continues to create a fast beat all the way through that the rest of the band somehow manages to keep up with. This song even got the attention of the PMRC albeit for different reasons. The toughest part of this list was figuring out which Rush song should go on it. As awesome as Subdivisions, Xanadu, Limelight, YYZ and the Big Money are, this one ended up getting the pick. Drummer and lyricist Neil has been beloved for his technical prowess as he can establish many intense and beautiful drum songs that fit in perfectly with the band’s music. The great futuristic sound fits in perfect with the lyrics that Peart and Pye Dubois wrote for the song. Boston’s Tom Scholz clearly had a great ear for sound when he hired Sib Hashian to be the drummer for his group. Hashian plays an intense set of drums on this two-part track to create a true space-like feel. His work practically overpowers the Hammond organ Scholz used throughout the track. Before joining King Crimson, Bill Bruford worked as the original drummer for Yes. This song from the group shows his great performance skills as he can play both intense and fast drums and smoother drums that fit in well with the rest of the band. This is especially great for someone who drums in progressive rock, a style of rock music known for many key and tonal changes within many extensive tracks. Everyone in Queen was beloved for being incredibly detailed and virtuosic in their work. Drummer Roger Taylor was especially popular for being a performer with a strong attitude and style to his work. This song from the group shows his powerful drum style that fits with the great guitar work of Brian May. Taylor even performs some vocals in this song and puts in his own alongside Freddie Mercury, a feat that isn’t easy to accomplish. Is this song from the Foo Fighters the most iconic rock track of the 1990s? It might be when all is considered as it has one of the most powerful drum beats and guitar lines in alternative rock history. Dave Grohl continued to play drums for the Foos when the band started and continued to show just how intense his work is and how he can keep up with many songs. Current band drum Taylor Hawkins has been able to match Grohl’s original part in concert well too. Tool’s Danny Carey is one of the more popular names in contemporary drums. This is thanks to his impressive style that incorporates experimental rhythms and tonal changes throughout the band’s music without missing a beat. This track from their album of the same name shows how Carey can play both a moody and loud sound during a single song. While Dave Matthews and his band has been beloved by many around the world and constantly sells out their shows, the individual band members have been admired just as well. Drummer Carter Beauford is known for being a strong performer with a sense of rhythm that fits well with the many kinds of songs the band has made. This song is one great example of how well the band’s music sounds with a great beat.